It was contracting slowly all last year but the contraction seems to be accelerating slightly. 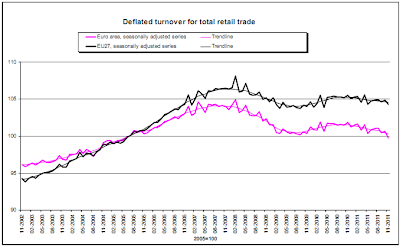 One noteworthy milestone is that in the Eurozone (pink line) retail trade (on a real and seasonally adjusted basis) has now fallen below the lowest levels of the 2008-2009 recession. 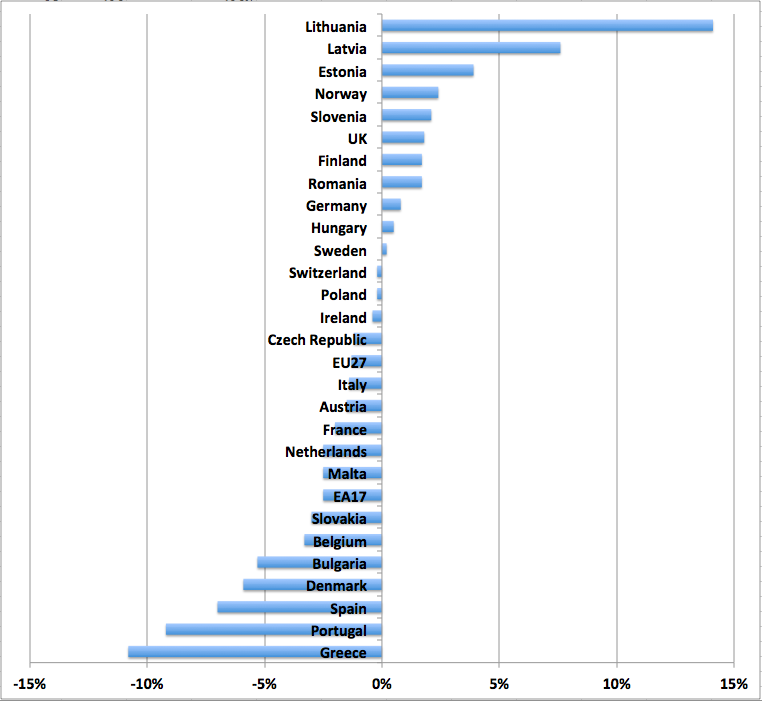 So the partial recovery in late 2009 and 2010 has been entirely wiped out. 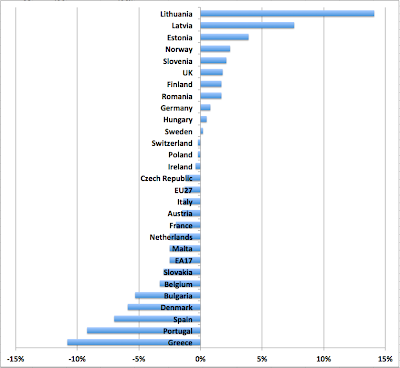 The pain is very great in Greece, Portugal, and Spain - and not much better in Denmark and Bulgaria. 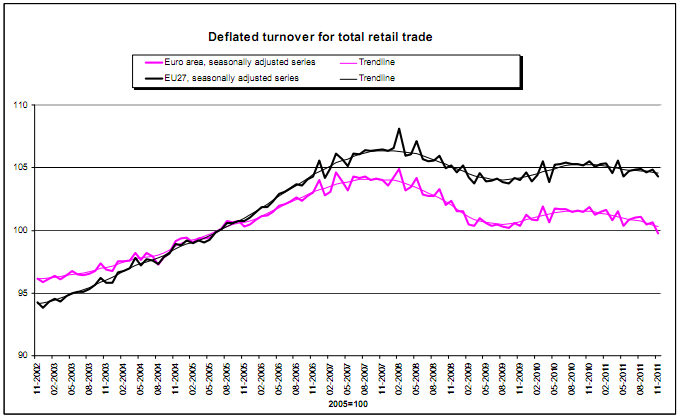 Retail offers employment, especially to the less skilled. Social unrest is a growth industry for the coming summer.